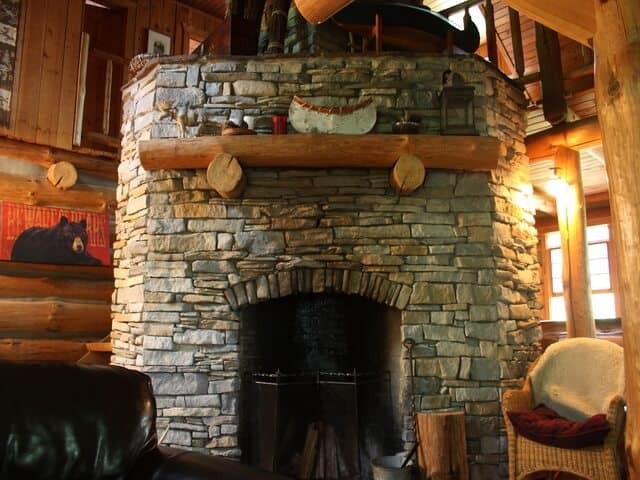 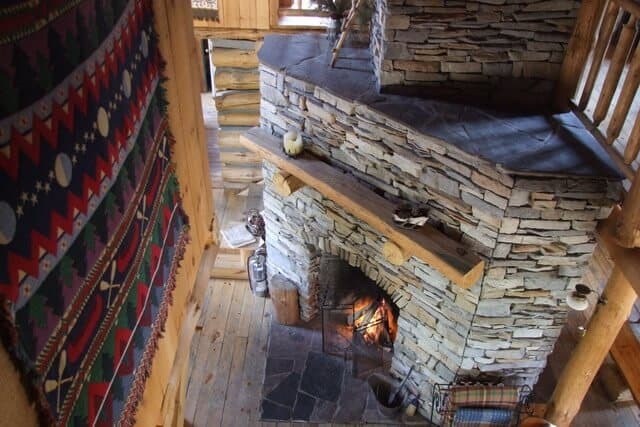 Hang your stocking, sip home-made eggnog in front of the huge, stone fireplace. 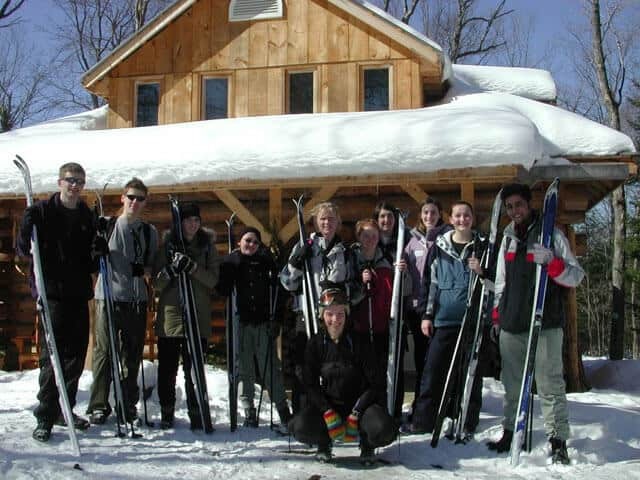 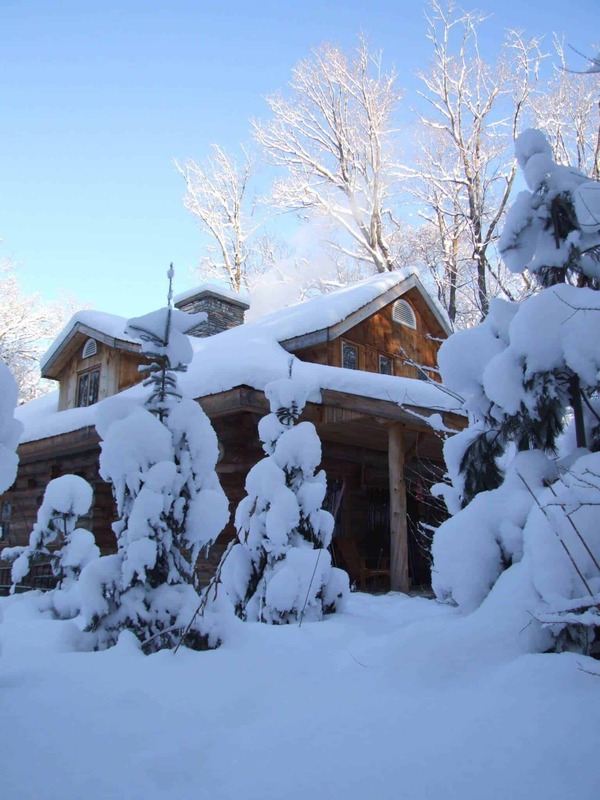 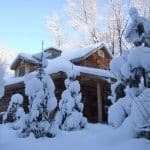 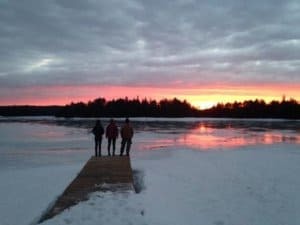 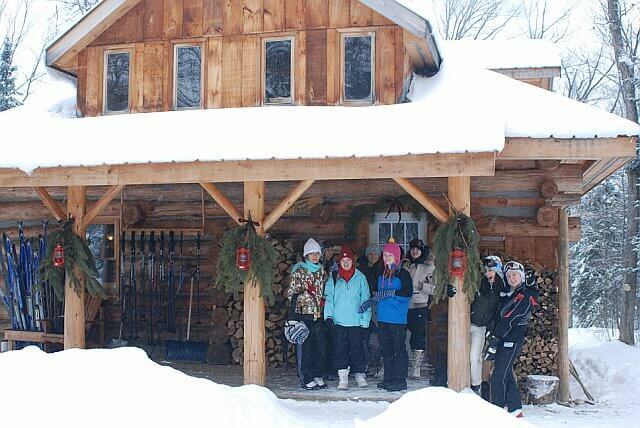 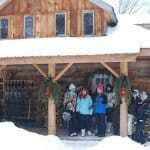 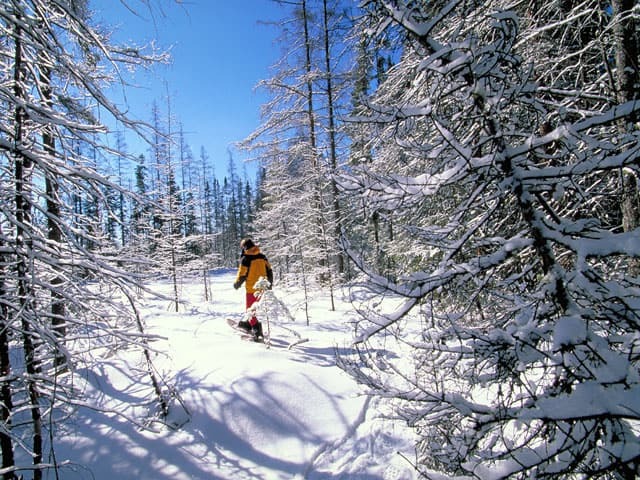 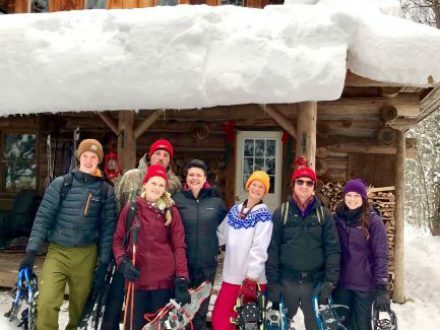 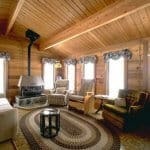 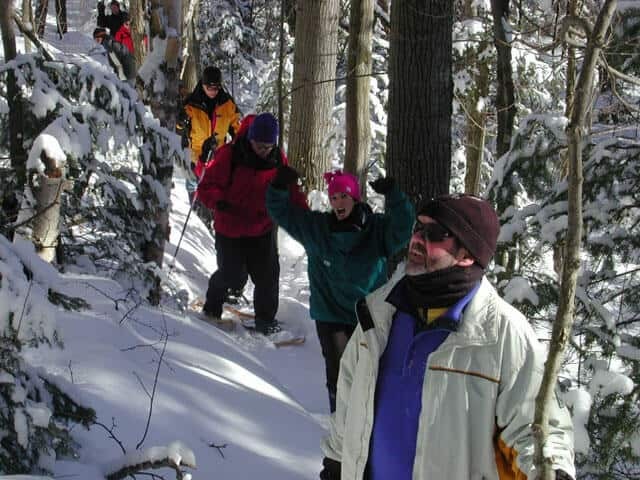 This 4-day Special Algonquin Log Cabin Christmas Adventure offers a sample of winter adventures including backcountry skiing, snowshoeing and skating on Surprise Lake. 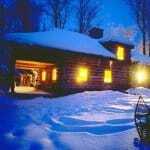 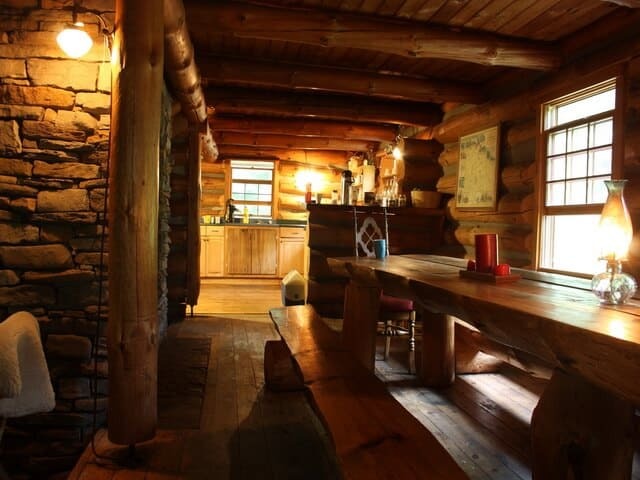 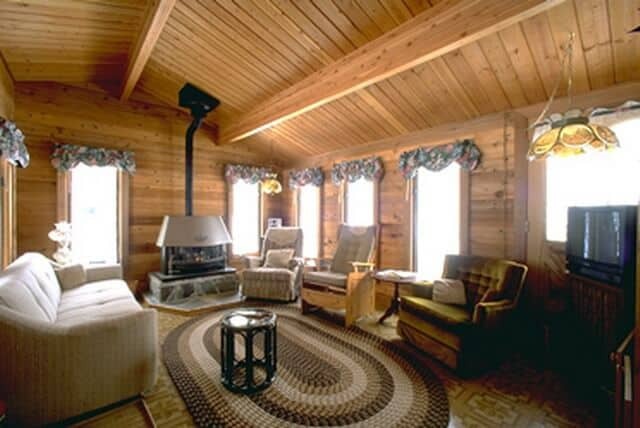 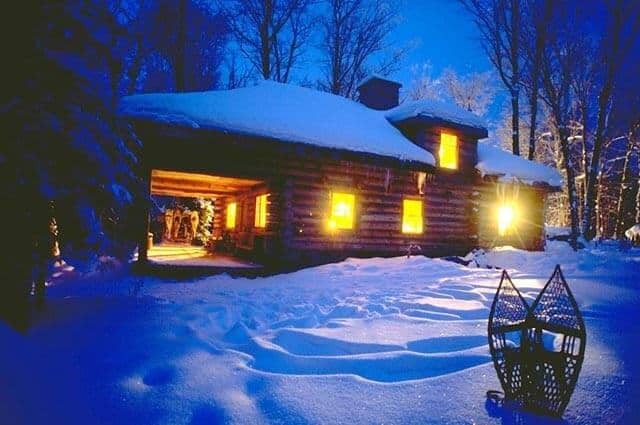 Our Algonquin Log Cabin offers intimate comfort: enjoy a wood-fired sauna and a hot shower, and the delights of our creative home-cooked Canadian feasts, such as fresh baked bread, wild salmon and a festive champagne Christmas brunch. 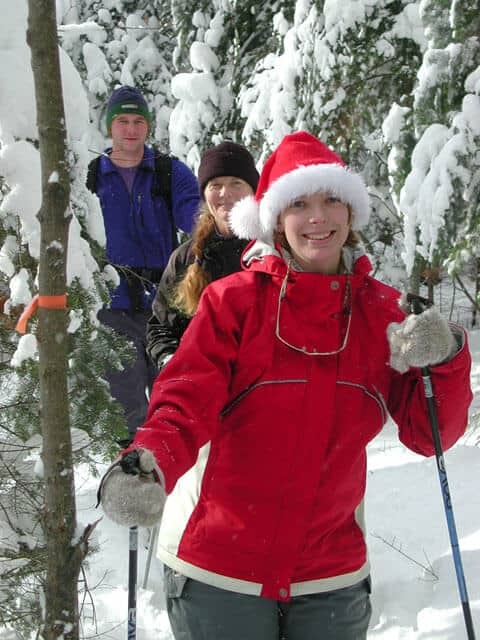 BEST CHRISTMAS PACKAGE IN ONTARIO as selected by Ontario Tourism and the Canadian Tourism Commission. 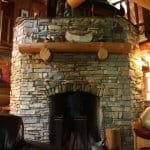 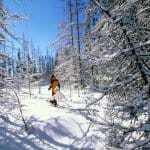 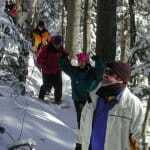 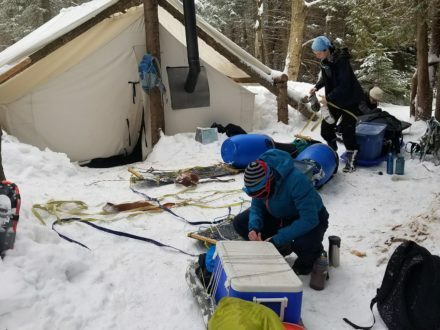 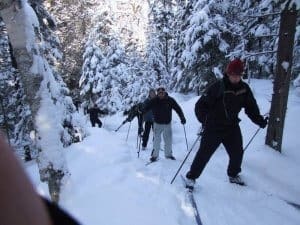 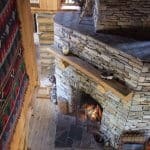 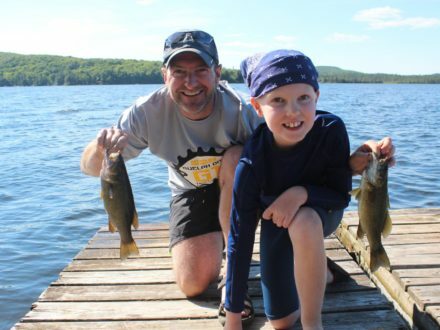 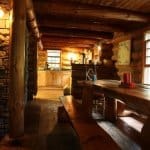 Cost Includes: 3 nights Algonquin Log Cabin accommodation, festive, holiday meals including Christmas dinner, stocking hang, ice wine, fully guided excursions including backcountry skiing, snowshoeing and ice skating/broom ball, all equipment, park permits, and services of a wilderness guide.